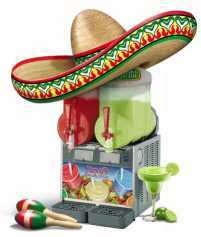 Jolly Jumpers also offers frozen margarita machines. 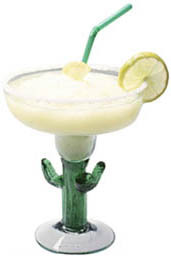 Adults can add their own rum or tequila for a frosty treat sure to turn any party into a backyard fiesta. Our machines are easy to use and best of all, we take care of delivery, setup and pickup...allowing you the opportunity to enjoy your own party. Check us out and invite us to your next party !! - What comes with the rental price? You get free delivery and set-up of your machine and also operating instructions.